Cryptocurrencies can be difficult to get your head around. Traded entirely online, there are no swanky coins or shiny new notes to get people excited which is why educating your audience is a must. The more they know, the more they’ll be willing to dabble in a digital world that might have seen unfamiliar before, so it’s all about being transparent, honest and gaining trust. Giveaways such as educational material and e-books are a good way to gain loyalty. Everyone likes something for free and if you’re pointing them towards interesting resources that could expand their knowledge and involve them in the cryptocurrency hype – that’s got to be a bonus, right? No-one wants to read rehashed content from one site to the next. Nor do they want to see key chunks of information copied and pasted onto a different part of the web. In order to sell cryptocurrencies effectively, you must generate new and original content that’s compliant with all the financial rules set by regulating bodies such as CySEC, the FCS and FSA. That said, by following the guidelines and providing the facts, you should be able to stay on the straight and narrow and avoid violating regulations. Why rely on text only when you can make the most of crypto-related images and sharable infographics? Content of this kind helps to portray information in a clear and concise way giving people a straightforward insight into what cryptocurrencies are all about. 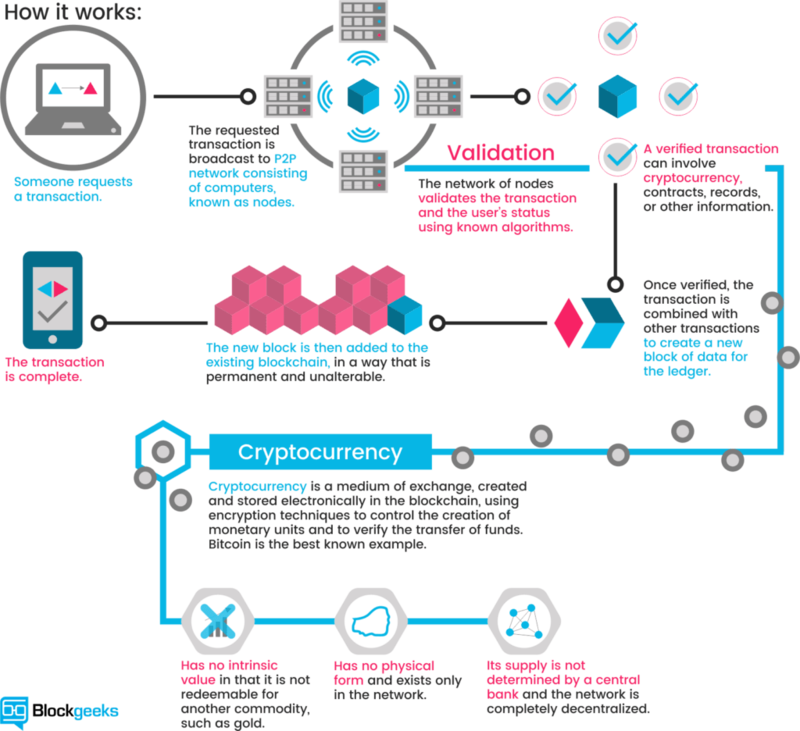 The below infographic from Block Geeks, for instance, shows exactly how cryptocurrencies work and gives detailed information regarding each stage of the process. Rather than sentences, paragraphs, bullet points or other kind of information, it uses imagery to bring the concept to life. Video content can be used to explain exactly what digital currencies are, how they are being used in today’s financial markets and why they are tradable assets. The great thing about video content is that it’s easy to share online via social sites like Twitter and YouTube. If you want to create regular material you can even set up a YouTube channel of you own and drive followers to your channel via other social networks. If you have created a video explaining the difference between cryptocurrencies and how to trade using the blockchain, you can then tweet the link or post it to your Facebook followers. If you want to pursue an integrated marketing campaign, why not also blog about your video content and provide a link to the relevant material? Cryptocurrency is one of the biggest buzzwords in 2017 attracting business and governments worldwide as well as individual traders. For more information on how to sell cryptocurrencies via social media, chat to the Contentworks elves. « What Does It Really Take To Become An Influencer?